Sneak Peek Day #1 - Jingle all the way! Happy Halloween and welcome to Day #1 of our Christmas and Winter Stamp Release Party! There are 2 posts today - scroll down for this weeks Monday Challenge Winners! Today's stamp set is Jingle all the way. I am so excited to show you all of the fun projects this week! Each day we will be giving you a peek at one of 5 new stamp sets. 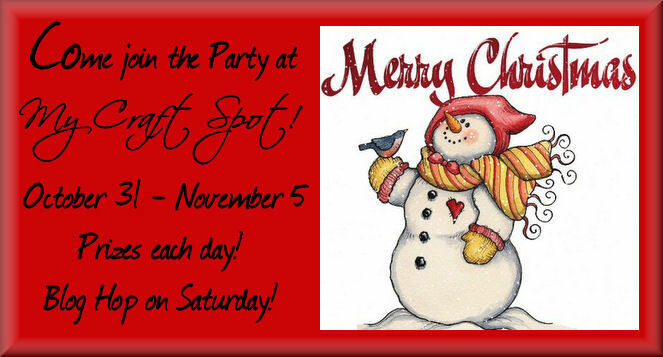 Then, on Saturday, we will have a blog hop giving away one of the new stamp sets at each stop! We have been having so much fun playing with the new stamps!! All of today's projects come from the Jingle all the way stamp set. The cute little guy on the sled was cut at 3.33 inches from the Winter Frolic cartridge. I stamped the sentiment on a tag cut from Winter Frolic at 4.25 w by 2.87 h (stretched on my Gypsy). 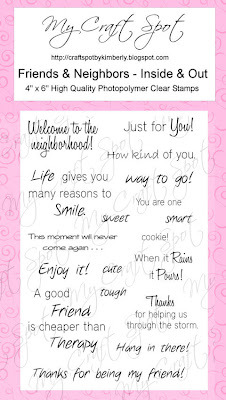 The cute face stamp is from Peachy Keen Stamps and the sentiment is from my new Jingle all the way set. I tied Twisted Lime bakers twine around the tag and inked everything with Walnut distress ink from Ranger. I used a little glossy accents on the sled runners, shoes, and face, then finished it off with some zig-zag stitching. 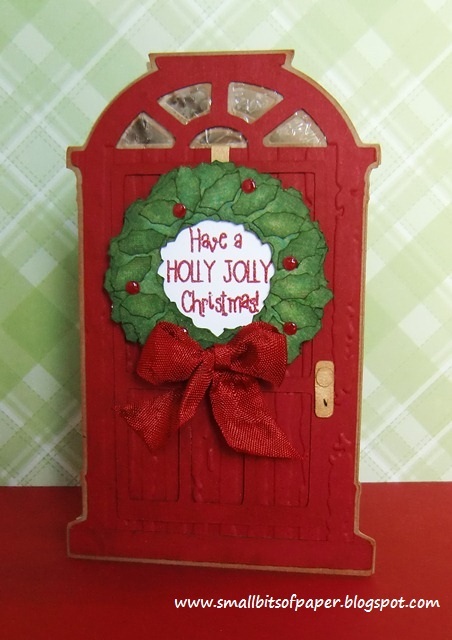 I love how Kate embossed the door and framed her sentiment with the wreath on this gorgeous shape card! What a fun idea to stamp on the seam binding ribbon!! 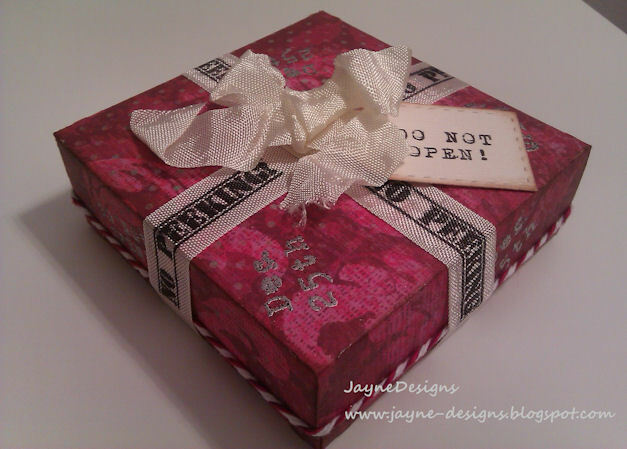 Jayne's little gift box is sooo pretty! Isn't this card just beautiful?!?! I love how Marlene framed her sentiment and all of the fun extras on her bow! 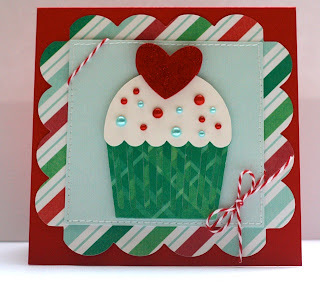 I love the punched border and fun colors on Candy's cute card! Her embossed sentiment is so pretty! I love the adorable little girl and the pretty papers on Aymee's cute card! Aren't Bobby's Wine Charms pretty?!?! This would be a fun idea for jewelry too! I love the stitching and cupcake sprinkles on Ally's delicious card! Can you believe Amber made this fun ornament out of a light bulb?!?! Such a cute decoration! What's a party without presents?!?! 1. Leave a comment on this post and each sneak peek post this week (Monday through Friday). 3. Come join us for the Blog Hop on Friday! 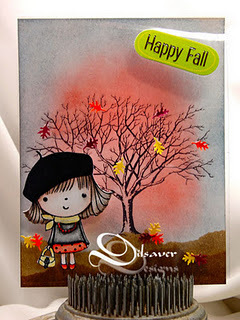 Each DT Blog on the Hop will be giving away one of my new stamp sets!! Come back tomorrow for a sneak peek of White Christmas! Today is our stamp release party! Yay! 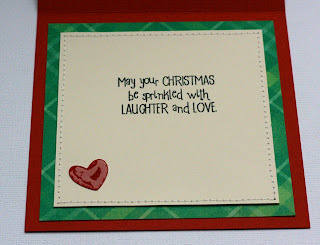 My fabulous design team and I have had so much fun playing with the 5 new Christmas and Winter stamp sets! 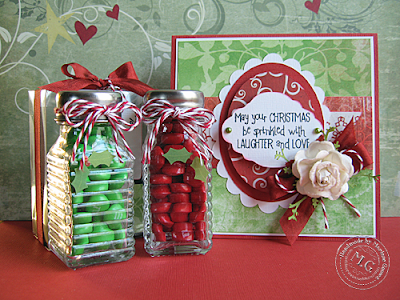 I can't wait to show you all of the fun cards and projects this next week! 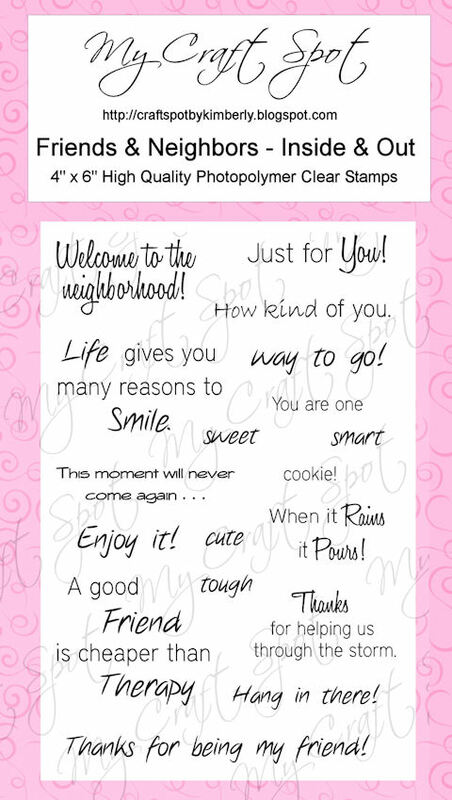 Each day we will give you a sneak peek of one of the 5 stamp sets and a chance to win some blog candy. 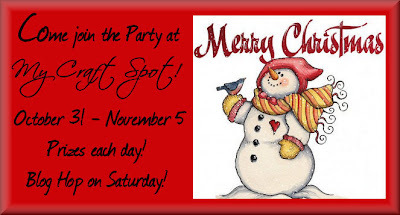 Come join the blog hop on Saturday for lots of fun prizes and great project ideas at each stop! Starts on Halloween day! You won't want to miss it! New colors of Bakers Twine and Crinkle Ribbon!!! Hi everyone, I hope you are having an awesome week! I have 8 yummy new colors of bakers twine from the Twinery and from Trendy Twine! This new Thanksgiving twine is a delicious brown and orange twist! All 8 new colors of Bakers Twine from The Twinery and Trendy Twine! 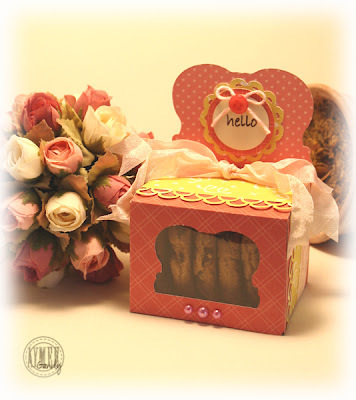 I also have two new Crinkle Ribbon sets and a Thanksgiving Ribbon and Bakers Twine combo! 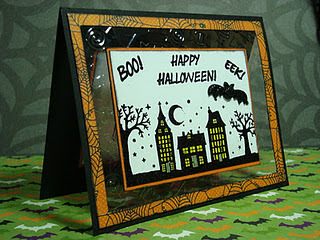 This weeks Challenge: See through projects! I love the adorable pumpkins hiding behind the window on Bobby's spooky cute card! The 'wallpaper' background and the table looks so real! 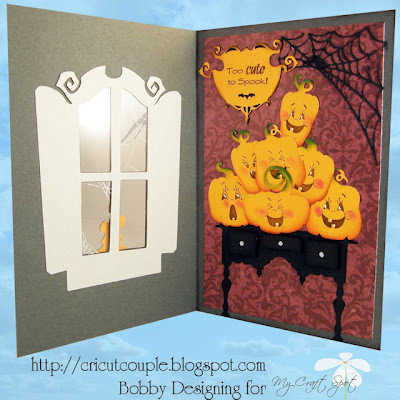 I love how Candy embossed the clear background on her fabulous card! 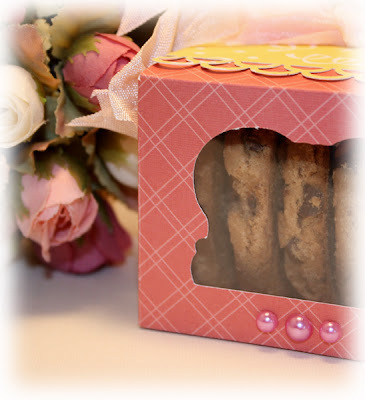 What a fun way to package cookies! I love the fun window shape and all of the extras on Aymee's beautiful box! Isn't this bat just too cute?!?! I love how Ally's cute card looks like it is floating above the table! 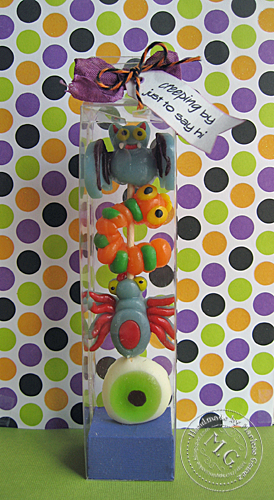 I love how Marlene packaged these adorable little bug treats! 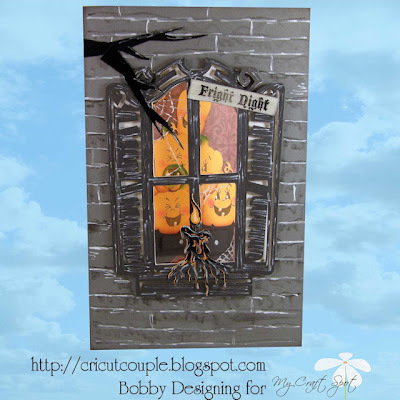 Your 3D Hallween projects were all so great! - thanks for joining the fun! Congratulations # 43 - Jess Martin! Hope you all are having a great week! I'm back with another tutorial using the Flower Shoppe cartridge. This is such a great cartridge! Click HERE to see all of the videos in this series. I used flower soft for the orange center of my flower. 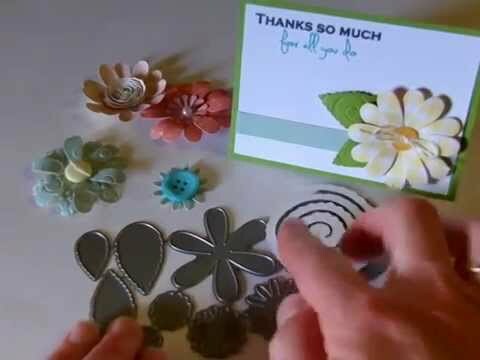 I used the fabulous Petal Roller by Imaginisce. My daughter, Natasha made a similar flower and I love how her inking turned out! For this tiny flower I added a little diamond glaze and sprinkled with glitter. 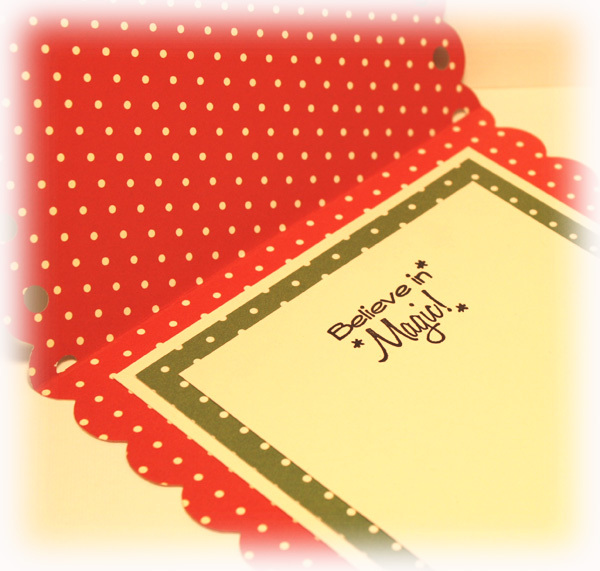 I have 5 new stamp sets for Christmas and Winter that I can't wait to show you!! Click on the button below for more information about our stamp release party! Meet the 3 newest Design Team Members! Announcing My Craft Spot New Design Team Members! Life gives you many reasons to smile! 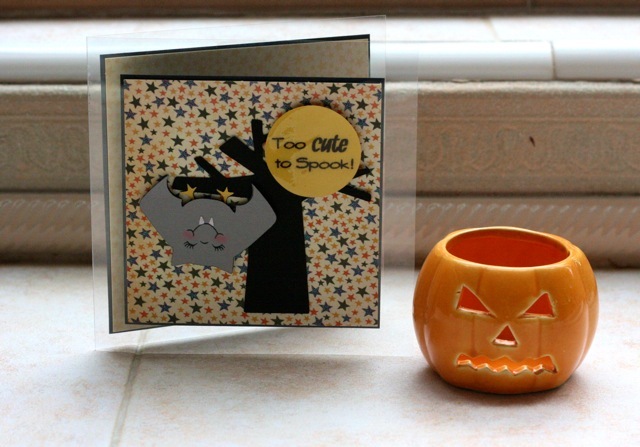 Monday Challenge #28 - Too Cute to Spook!